" Yipeeee!! I'm delighted to have that little extra 'blanket' for the bare hose of my nasal assembly. My bedroom is cold at night, and this helps a lot!! " 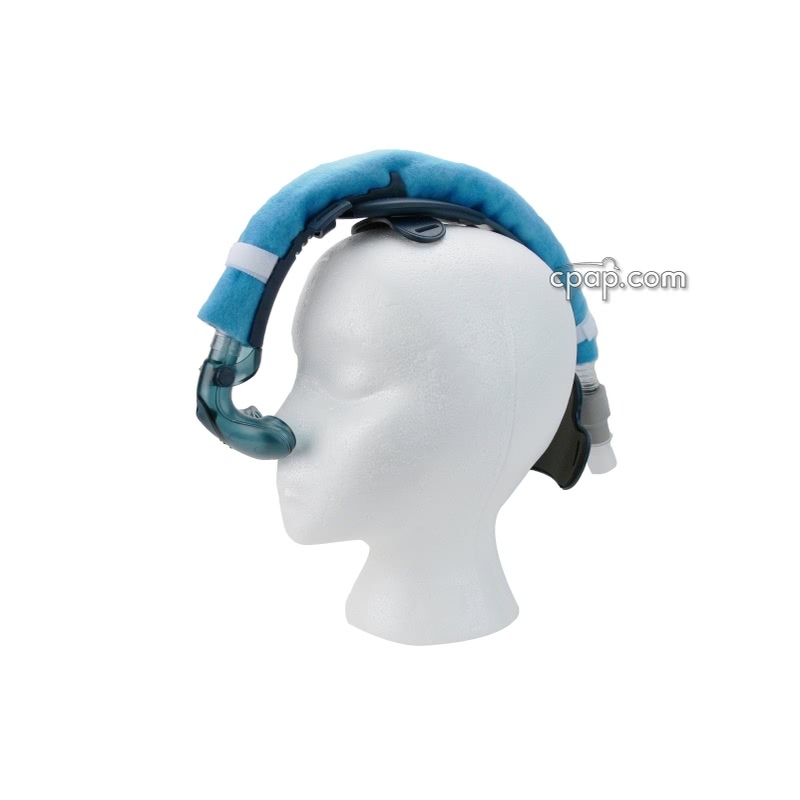 The SnuggleHose Cover for Short Mask Tubes is designed to fit the short tubing associated with several nasal pillow systems. 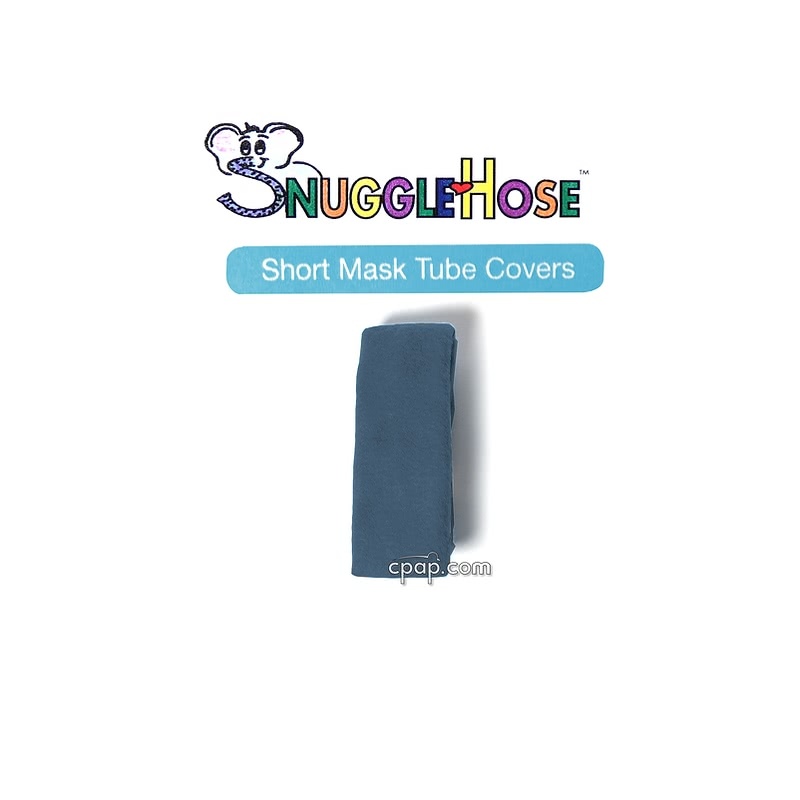 SnuggleHose is a tube of very soft polyester fleece material which slides over a CPAP hose and fastens with hook and loop closure. For anyone using a heated humidifier, the SnuggleHose insulates the hose from the cooler ambient room air, reducing condensation within the hose. The SnuggleHose keeps the CPAP hose from disrupting sleep when it contacts skin and reduces the "medical" look of your CPAP hose. COLOR NOTE: The fabric color may vary slightly and will not affect the function of the product. This product does not include a hose or any mask parts. It is the hose cover only. 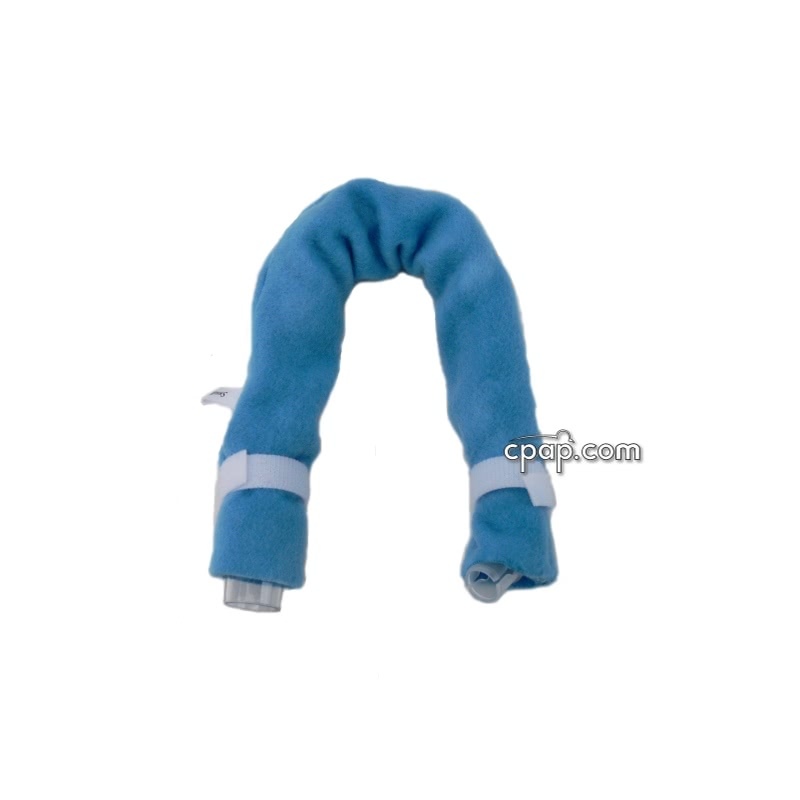 The SnuggleHose Cover for Short Mask Tubes can be machine washed in cold water on a gentle cycle and machine dried on low heat. To prevent attaching or wrapping around other clothes, it is recommended to fasten all velcro fasteners or place in a dedicates bag. Alternatively the SnuggleHose Cover for Short Mask Tubes can be hand washed in cool water and laid flat to dry. What is CPAP tubing / CPAP hose? CPAP tubing and CPAP hose are interchangeable terms. 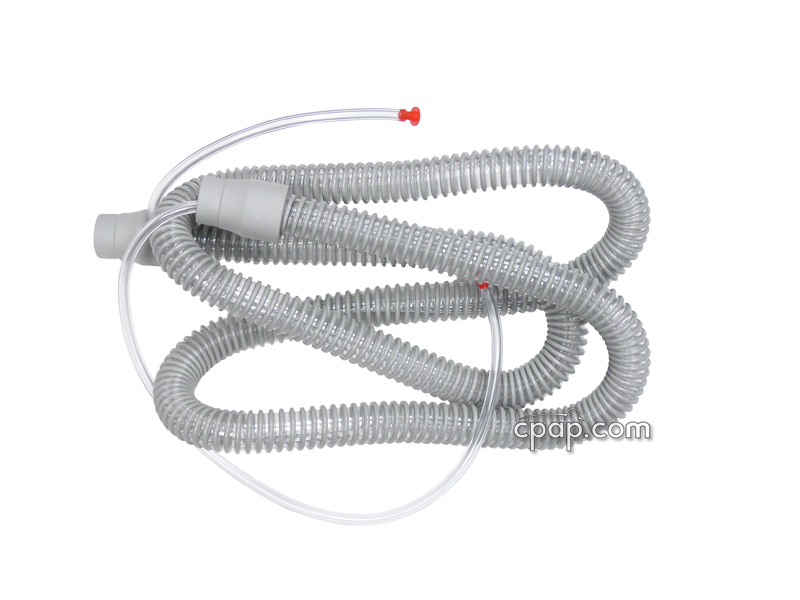 CPAP hoses / tubing are used for two main purposes: to connect a CPAP or BiLevel machine or a humidifier to a mask, or to connect the machine to a humidifier. Standard / Performance Hose: A long hose or tube is included with each CPAP / BiLevel machine purchase. 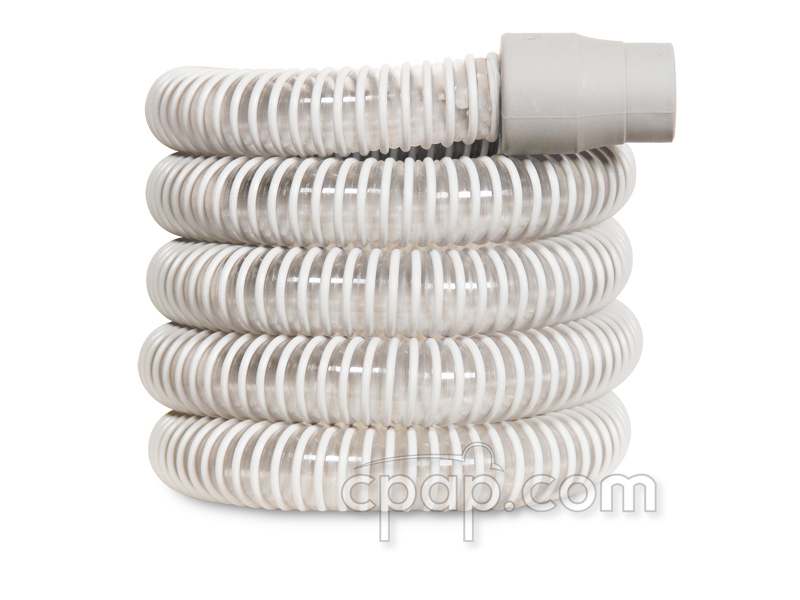 The connections on all CPAPs, humidifiers and masks are a standard size, so a standard CPAP hose will fit on all. Standard hoses are also available in 8 foot and 10 foot sizes. 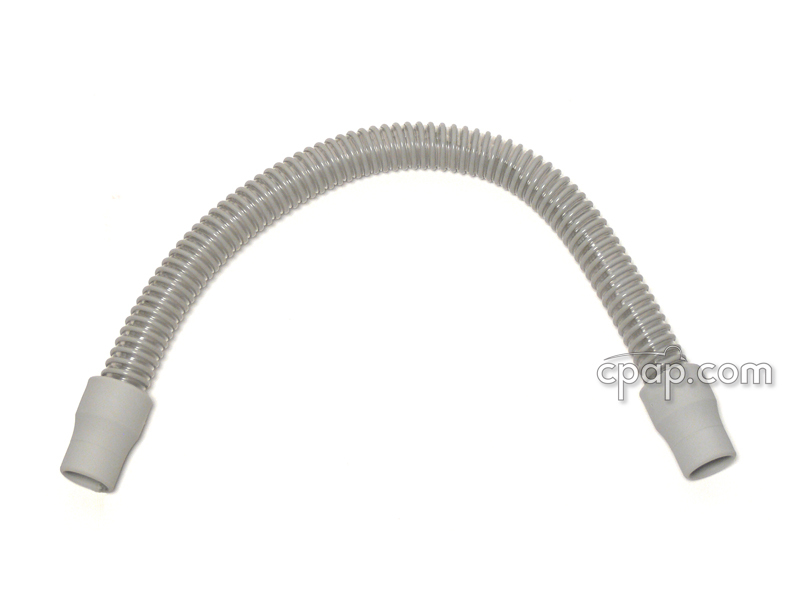 There are lighter hoses available that were designed to be more flexible and put less pull on the CPAP mask. Heated Hose: A heated CPAP hose contains copper coils embedded in or wrapped around the length of the hose. These coils conduct a constant temperature through the hose. The majority of heated hoses are specific to the machine. Humidifier Hose. 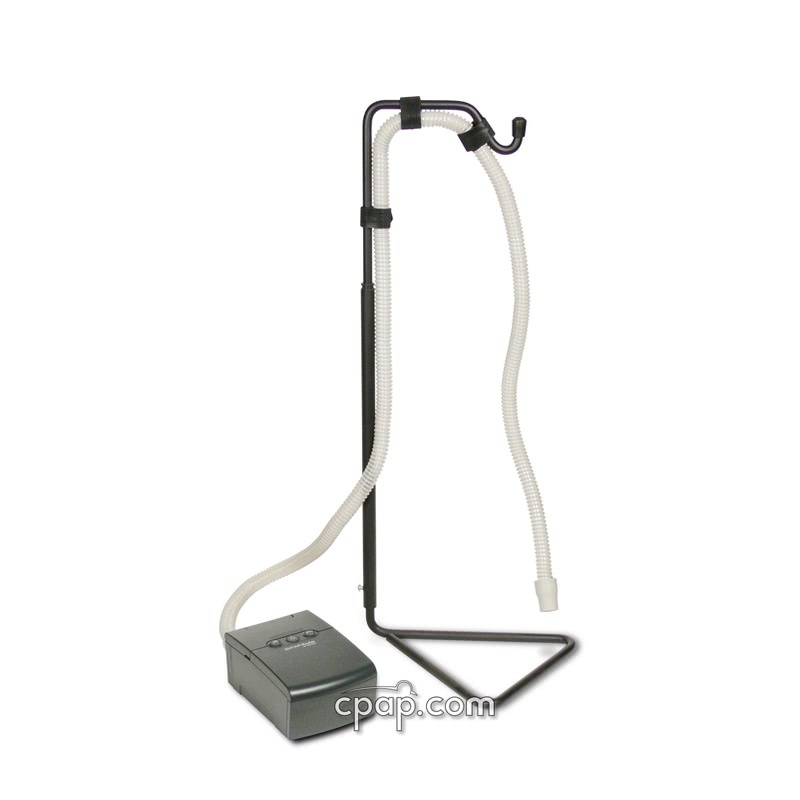 Humidifier hoses connect a CPAP or BiLevel machine to a stand alone humidifier. Humidifier hoses are shorter than standard hoses. They come in either 18 or 24 inch lengths. Are all CPAP hoses the same? In years gone by, the answer to this question would have been "yes", but today not all hoses are the same and some machines use different hose types. All CPAP hoses / tubings serve the same function: directing the air stream from the machine to the mask. 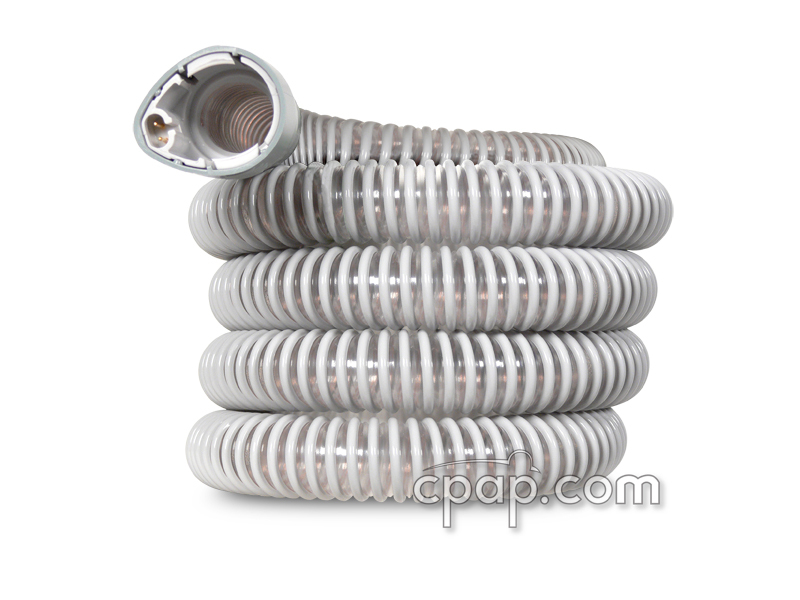 Historically, a standard CPAP hose is six feet long, has an internal diameter of 19mm and a connector cuff with an internal diameter of 22mm. Today some hoses are 6 feet long, others are 4 foot long, 8 foot long and 10 foot long. Some hoses have an internal diameter of 19mm (standard) and others have an internal diameter of 15mm (thin or slim style). To use a slim 15mm hose, the machine must have a menu option setting to accept the narrower diameter of a 15mm hose and still deliver the prescribed pressure to the mask to ensure effective therapy. All hoses have a 22mm connection cuff and fit on all CPAP masks. The connection ports on all CPAP, APAP and BiLevel machines, humidifiers, and masks are a standard size, so a standard CPAP hose will fit on all. Some of the very small machines use a hose adapter between the machine and the 22mm cuff of the hose. Some manufacturers offer a heated hose option designed to work only with their machines. To read more about heated hoses see the "What is a heated CPAP hose?" article included in this FAQ section. A few auto-titrating CPAPs and BiLevels require a pressure line sensor to detect breathing patterns and pressure needs. The sensor may be in the form of an adapter with narrow tubing attached or the narrow tubing is threaded inside the six foot hose. In both cases, one end of the narrow tubing is plugged into the machine. Those machines will not operate without the pressure line sensor. What is a heated CPAP hose? A heated CPAP hose contains copper coils embedded in, or wrapped around, the hose. These coils are gently heated to conduct a constant temperature throughout the length of the hose. This enhances the comfort of the therapy and reduces or eliminates rainout caused by the water condensing as it travels through the hose to the mask. Heated hoses are more expensive alternatives to cloth tubing insulation, but they prevent rainout in nearly all cases. The Hybernite Rainout Control System is a stand alone option that can be used with any machine to prevent rainout and increase delivered humidification. Some manufacturers have developed heated hoses to work specifically with select machines in their product lines. 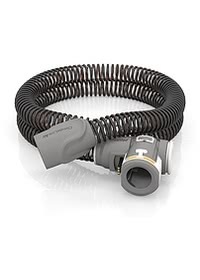 The ClimateLineAir™ Heated Tube for AirSense™ 10 and AirCurve™ 10 Machines is an example of a heated hose used by the AirSense™ 10 and AirCurve™ 10 Machines. What is a hose cover? A hose cover is placed over the hose in order to insulate the hose and to make the hose more comfortable. 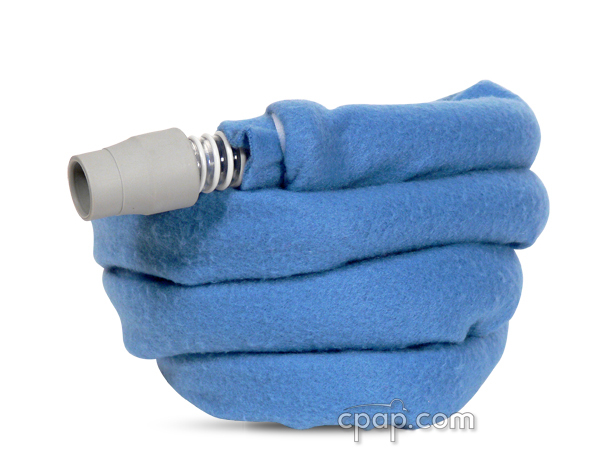 The simplest and most cost effective way to insulate a CPAP hose is to wrap it in an insulating fabric. This enables the hose to remain flexible and adds little weight. Companies such as Snugglehose provide a cost effective tubing insulation available in several colors and styles. Not only will the covers reduce or eliminate rainout, they also provide a more personal and less institutionalized appearance. An example of a Snugglehose is shown below. Rainout is the accumulation of water in a CPAP tube due to warm moist air cooling on its way from your CPAP machine to your CPAP mask. Solutions to rainout include raising the temperature of your bedroom, insulating your tubing with a Snugglehose, or purchasing a CPAP machine with an integrated heated hose. How do I clean a CPAP hose? Your CPAP hose will last longer if it is detached every morning and hung to air dry. Drying the hose each morning will also prevent bacteria from growing in the damp interior and help reduce the possibility of colds and other health issues. Remember, what is in the hose goes into the airway. If you are not drying the hose daily, then be sure to replace the hose very frequently as negative health issues will result! The Tube Cleaning System is a tube care kit to rinse, soak and dry the hose. The CPAP Tube Brush Second Gen is used to scrub the inside of a tube. It is available for both slim line and standard diameter hoses. A SnuggleHose Cover wraps the length of the tube in soft fleece material. Although its intention is to help reduce rainout (water collecting in the tube) many CPAP users report it deters pets from using the hose as a chew toy. The SnuggleHose is available for 6 foot; 8 foot and 10 foot hoses. How often should I replace my CPAP hose? CPAP hoses can last a long time, sometimes up to a year if taken care of properly. Signs of wear include dry, cracked places on the inside lining or on the rubber ends; "stretch marks" near the rubber ends; mineral deposits or mold from water left inside the hose; or a visible puncture or tear in the material. How do I avoid getting tangled in CPAP hoses?